Monsoon is here to assuage us from the scorching summer heat. 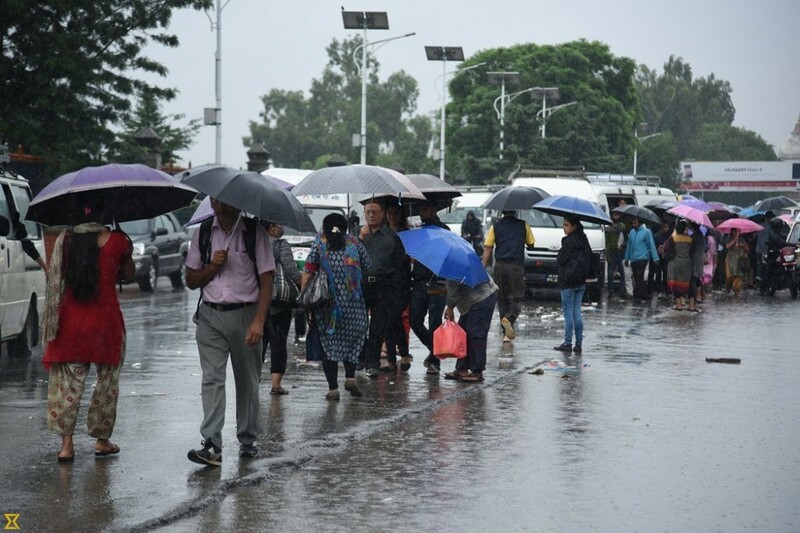 The first outpour of monsoon makes us relieved and joyful but having the cool splash of rains brings along some flaws and negative effects from which we need to protect ourselves and our closed ones especially kids and elderly people as they are more susceptible to catch cold, cough, fever, food poisoning and many such infections. Monsoon reduces the resistant power of our body and our chances to get allergies, infections and indigestion problems increases manifold. Moreover the puddles around the residential areas, which harbours mosquito growth, increases the risk of infections like dengue, malaria, pneumonia and chikungunya. The atmosphere being hot and humid favours the growth of many bacteria, virus and fungus leading to outbreak ofdiseaseslike typhoid, conjunctivitis, viral fever, diarrhoea, dysentery and skin problems like eczema, acne and psoriasis. Street foods are a strict no-no during monsoons. We might not be certain about the quality of the water and raw food supply and can easily fall ill from contaminants. Eat from places that are hygienic and only those foods whose quality and safety you are sure of. Homemade food hence proves to be safest option in monsoon. Try tentalising recipes at home and enjoy rain to the fullest. Make sure to use filtered and boiled water and thoroughly washed raw vegetables and fruits for your recipes. Apply a strong insect repellent to avoid mosquito bites and be safe from diseases like malaria, dengue or chikungunya. It is better to check for any kind of water logging in and around your house to prevent breeding of the blood sucking mini monsters. Thoroughly check your surroundings every alternate day and accordingly take proper measures. Children usually love to play in puddles but it’s better to avoid or be cautious to wash your feet properly afterwards so as to avoid any kind of fungal infection of skin. Dry your feet every time it gets wet and do not wear wet socks or shoes for long time. Wash your socks every day and wear a pair of shoes that’s suited to the weather and gets dried up easily. Wash your shoes too as and when required. You may use a talc or deodorizer to avoid the stink. If you get drenched in rain, bathe with water added with disinfectant to avoid skin problems. The humidity can lead to sweat and dirt accumulation so it’s favourable to bathe twice daily during rains and use some anti-fungal talc or medicated powder to prevent chances of getting skin eruptions. Light cotton clothes or breathable clothes are recommended for the season for easy circulation of air and also which can get dry easily. Do not walk barefoot even at home more so if you are diabetic to avoid any fungal infection. Eat lots of food with high content of vitamin C to boost your immunity. You may also consider drinking green tea with lemon, herbal tea variants or even an everyday Indian household tea added with ginger and cardamom to boost up your mood, give you much needed refreshment and also to replenish you with loads of antioxidants. Avoid leafy greens too in this season as it harbours bacteria and may lead to indigestion. Fresh whole fruits and thoroughly cooked food is what you need in this season. Any salads should be freshly prepared and consumed thereafter. Rainy season is not for storage even in refrigerator. Keywords: Stay healthy in monsoon, monsoon health, monsoon and health, tips for being healthy in monsoon, healthy monsoon, rainy season and health, illness related to monsoon,.